Many of us tend to reserve bubbly and sparkling cocktails only for special occasions. However, I disagree! 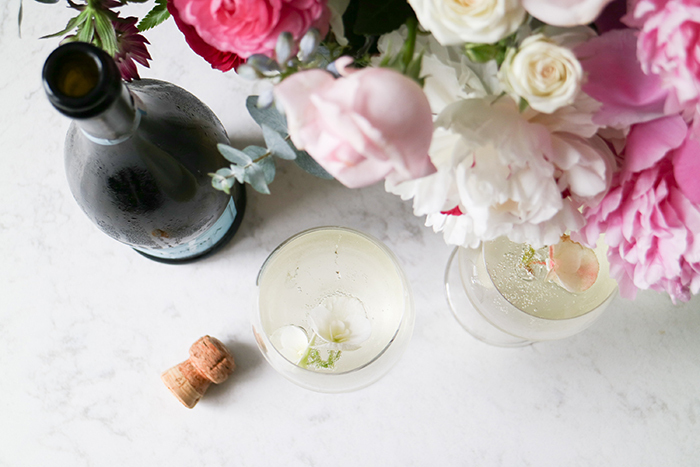 I believe everyday deserves a sparkling moment and I’ve come to really enjoy and appreciate the luxurious taste of La Marca Prosecco that embodies elegance yet versatility, which makes it the perfect choice to elevate any day of the week. 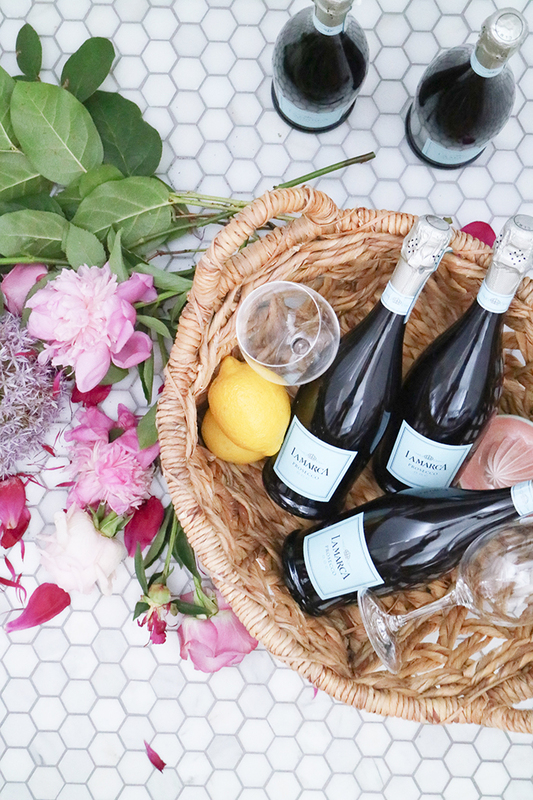 To showcase the variety of vibrant bouquet notes of golden apple, white peaches and honeysuckle, I’m sharing a few delightful ways to enjoy a glass of La Marca Prosecco with friends this Summer by the pool or at home! 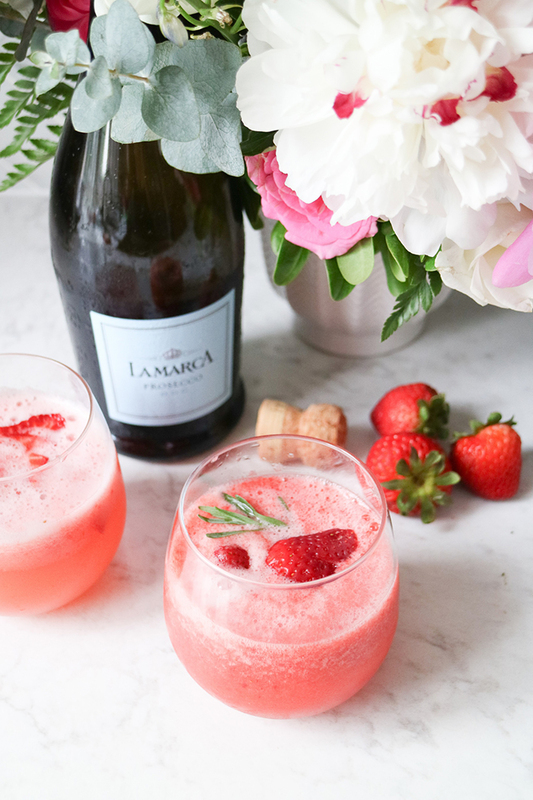 Steps: Blend strawberries with fresh lemonade, pour over ice and La Marca Prosecco. Top with fresh sprigs of rosemary and enjoy! 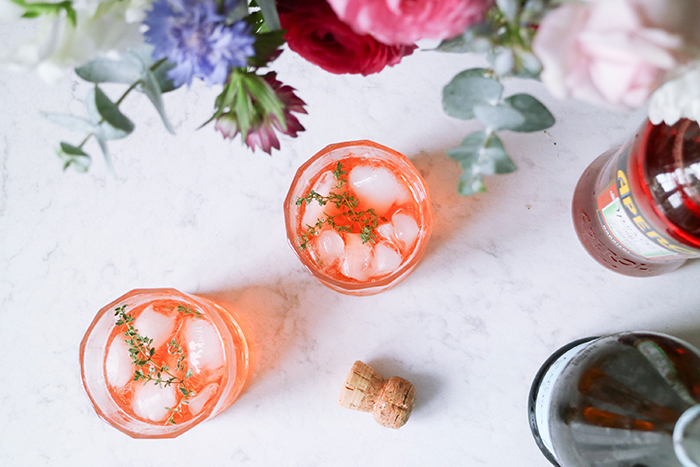 Steps: Mix Aperol and La Marca Prosecco and pour over ice. Top with fresh thyme and enjoy! La Marca Prosecco is equally delicious enjoyed chilled with assorted berries. 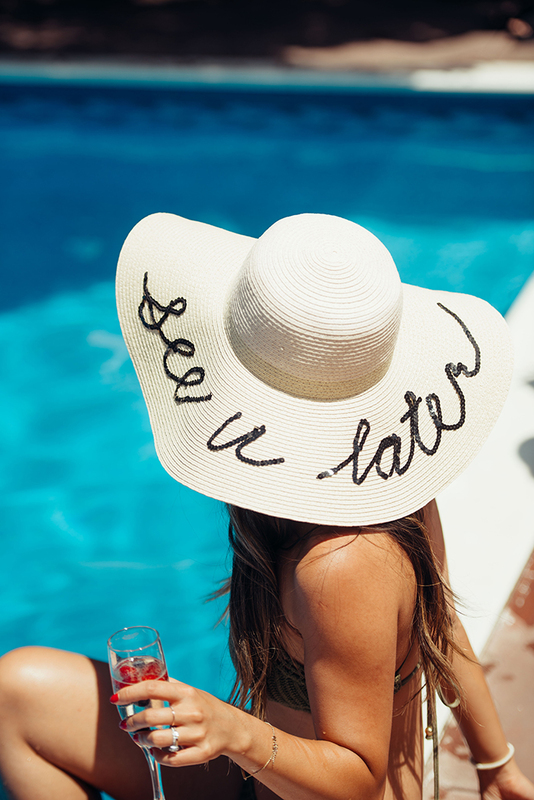 I was joined by so many fabulous babes last weekend for an afternoon of poolside fun! Be sure to follow along #casawishbone and #lamarcaproseccoca for more great party photos and inspiration! 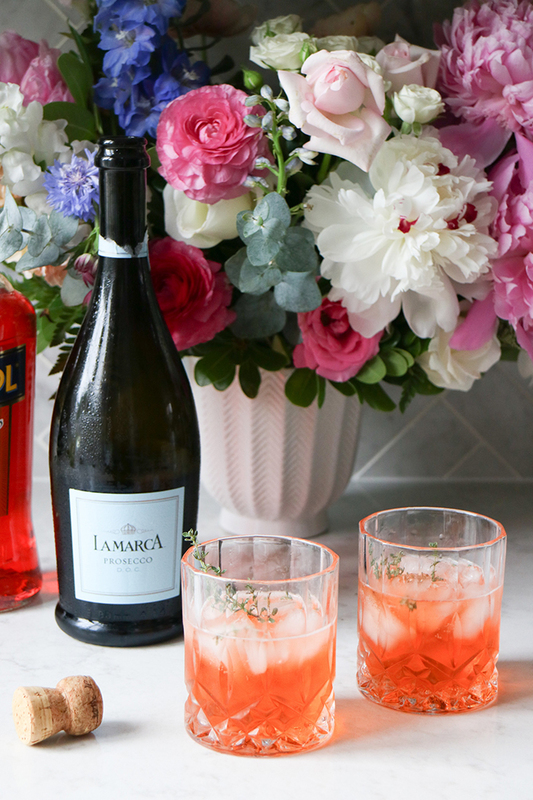 The next time you’re looking to add some extra sophistication, elegance, and luxury to your day, be sure to pop a bottle of delicious La Marca Prosecco and try your hand at one of these simple cocktails to #makeeverydaysparkle! Disclaimer: This post was created in partnership with La Marca Prosecco, but all ideas and opinions are mine and original! 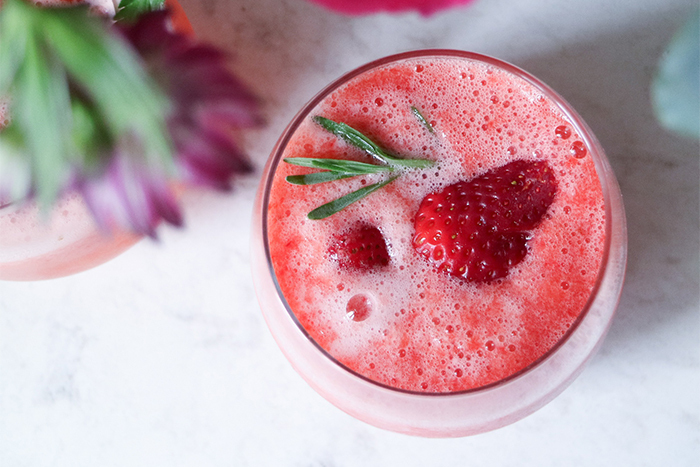 If you’re enjoying a cocktail this Summer, drink responsibly!